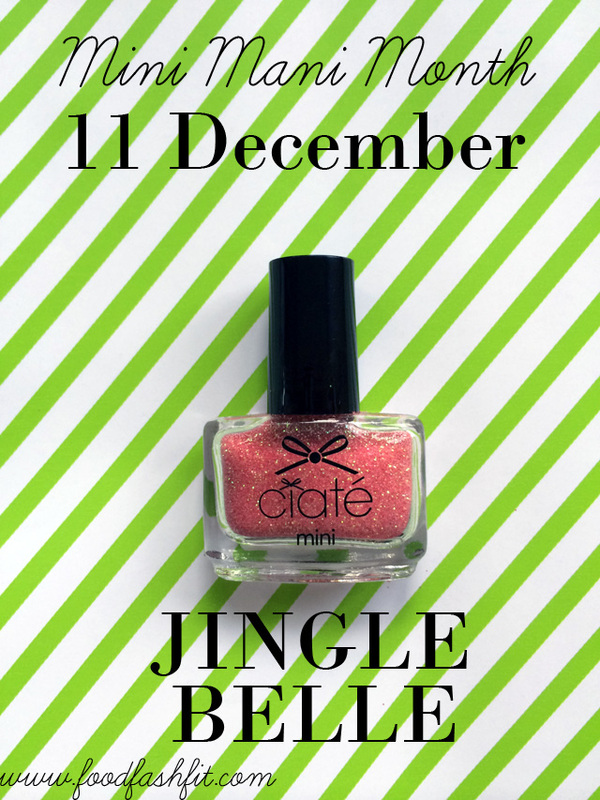 The first, and only, glitter of the bunch was under the 11th door of the Ciate advent calender: it’s Jingle Belle! 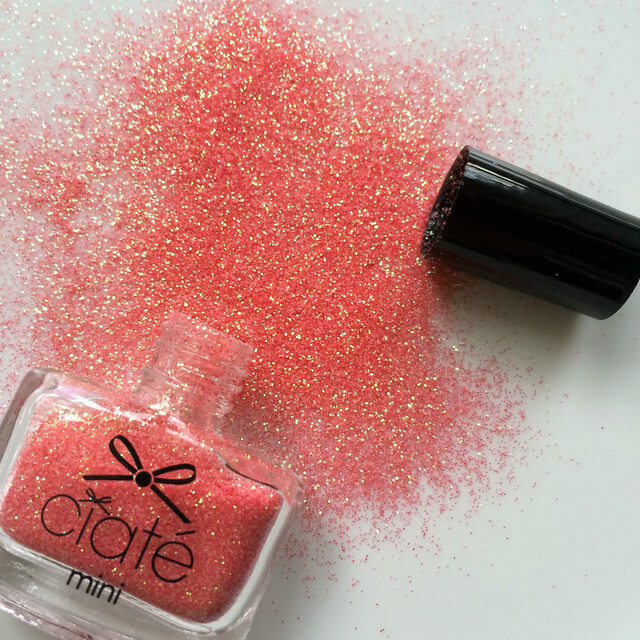 This seems to be an exclusive for the calendar, and is a hot pink glitter with gold sparkles. I applied it over the top of Kiss Chase, from 8 Dec, which gave it a very pink base underneath. As you can see, depending on the light, the colour appears either coral or pink – but either way, it was very pretty! I was initially worried about how well it would apply. Considering that the glitter is very fine, I thought it would go everywhere, and be difficult to remove from your fingers. But a quick wipe with some tissue (dampened if needs be!) worked a charm, and it’s even fairly easy to remove compared to some other glittery top coats. Again, nice job, Ciate! 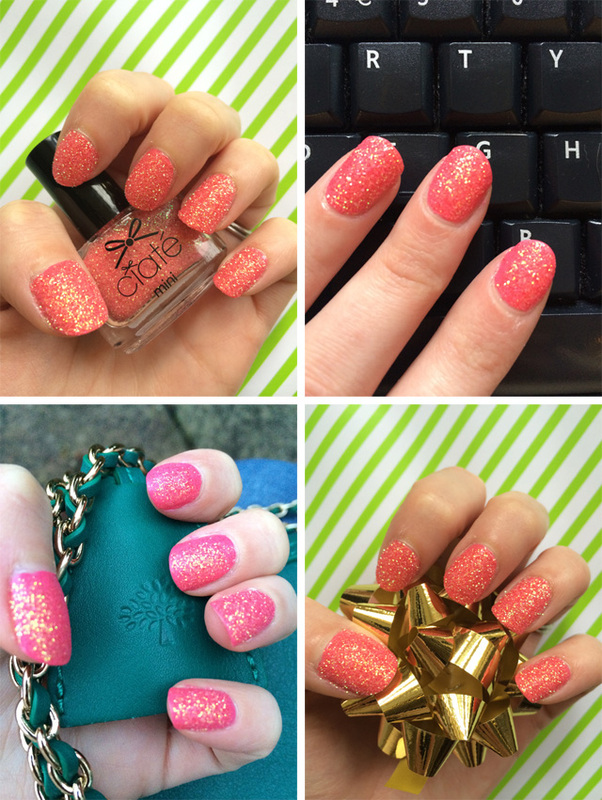 I definitely want to try out some different glitter top coats now!